With the end of the year upon us, I can't help but look back over 2017 and reflect on my favorite/special moments of the year. 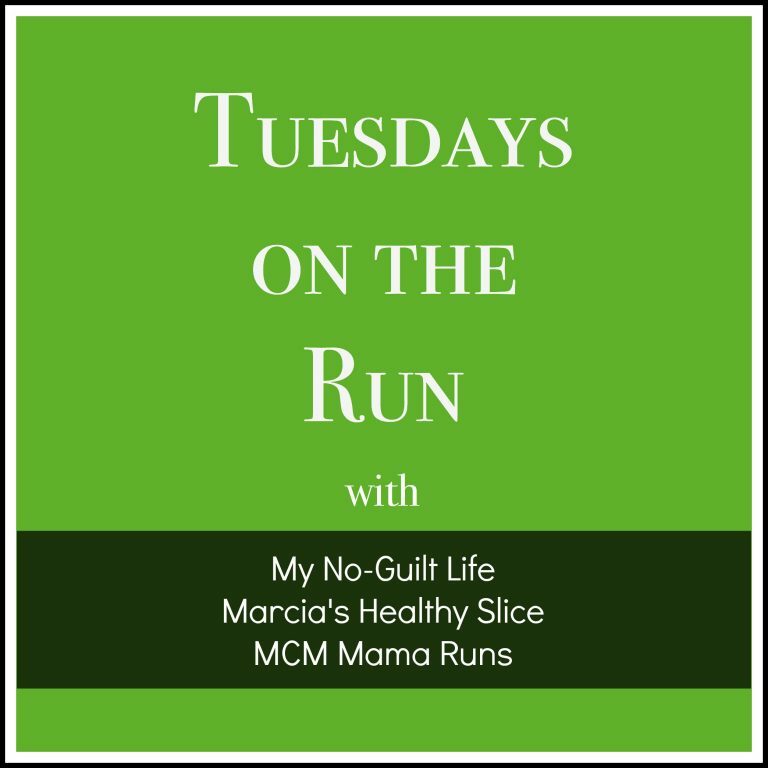 Today's Tuesdays on the Run topic is all about a favorite race from 2017 and I'm going to tweak it a little bit and call it my favorite race "series" of 2017! Several years back, I shared a "bucket list races" sort of list and mentioned the Tinker Bell Half Marathon in Disneyland as one of them. At the time, they'd just come out with a gorgeous pink Coast to Coast medal and I wanted to get my hands on that medal...bad! 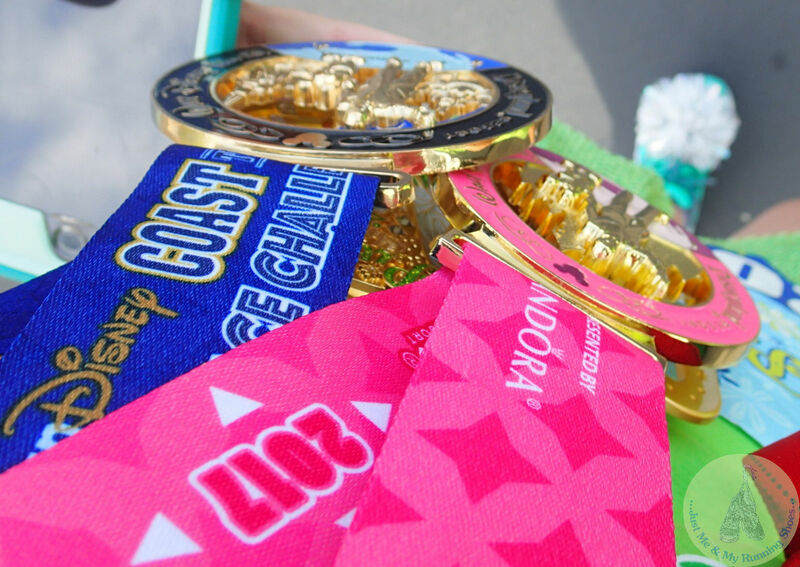 Runners who complete a race in both Disney World in Florida as well as Disneyland in California receive an extra "bonus" medal for running a race on both coasts. Since this was a "girl" themed race series, the Coast to Coast medal was pink! I HAD to have it! This year, when the Tink half didn't sell out as fast as I thought it would, I petitioned my friend who also ran the Princess half this year to see if she had any interest in Tink. Of course, she jumped on the bandwagon of this CRAZY idea and we were off for a whirlwind weekend in California where we both earned our pink coast to coast medals! 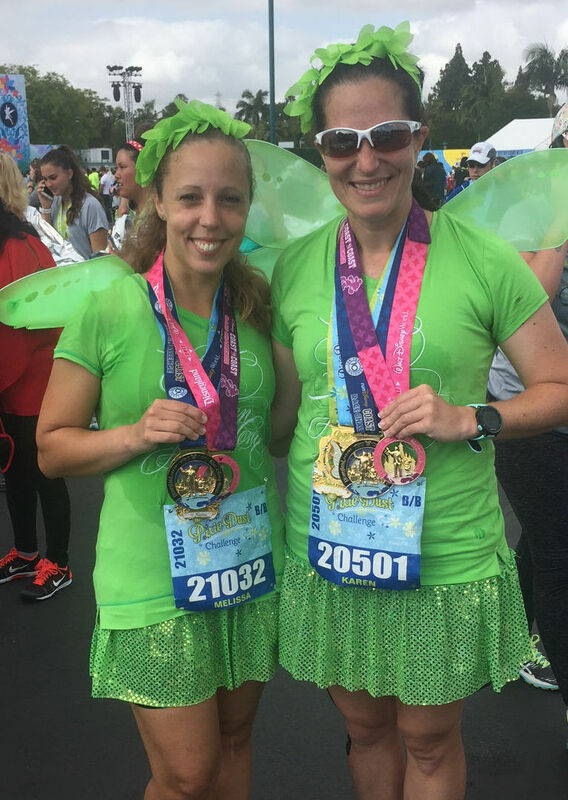 The Princess Half Marathon and the Tinkerbell Half Marathon both definitely hold special places in my heart as favorites of 2017. Not only did I have the opportunity to spend the week of the Princess Half with my family and son (his first trip...his first haircut...his first "race")....but I also had the chance to run 19.3 miles in the happiest place on earth! 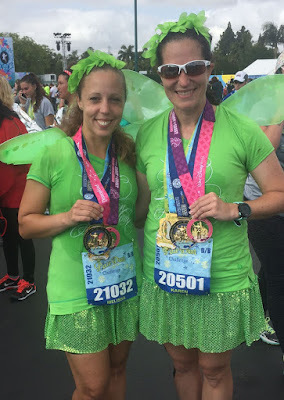 Running the Tinker Bell Half Marathon through Disneyland just a few months later with my friend was just like the icing on the cake! So, to answer the initial question - no, I don't have a favorite race from 2017. I have two favorite race weekends from 2017 and so many special memories attached to both! What was your favorite race/race weekend/race series of 2017? 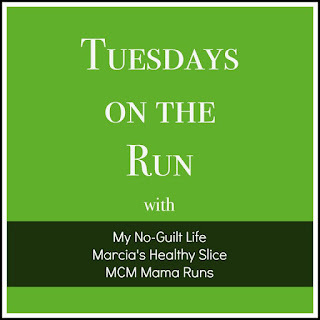 Today, I'm linking up with Erika, Marcia and Patty for Tuesdays on the Run! 2 great races for sure! How did you get the blue coast to coast medal as well? I was baffled by that too! They said this was an anniversary year for coast to coast, so we got both medals. That looks really fun. When my girls were younger, Tink was their fave, alas the Tink race did not exist then. I thought we'd all head to Disney for Princess race weekend but that never happened. Thanks for linking! I loved doing Tink in 2016. I'm pretty disappointed that Run Disney got rid of the west coast races. I thought Disneyland was more fun. So am I! 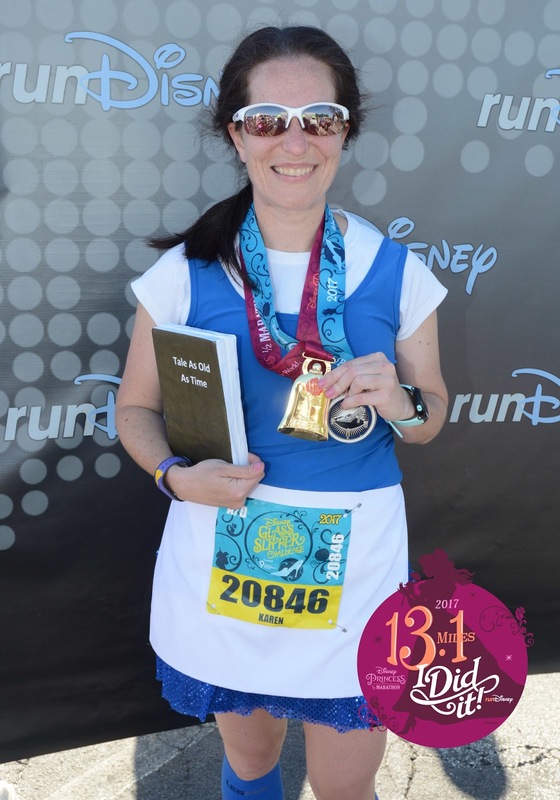 I loved the amount of in-park time of the Disney 10K! I'm not surprised to see that your Disney races are your favorites for this year. I'm so excited to run Princess in February and have a girls weekend at Disney! When you run in Cali is it any less humid and hot than FL? Thank you so much! The weather in Cali just depends...but yes, it's usually much less humid! This year's Tink weather was PERFECT!